This American bar and restaurant is known for its good food, casual atmosphere, and great service in terms of cleanliness and customer service. 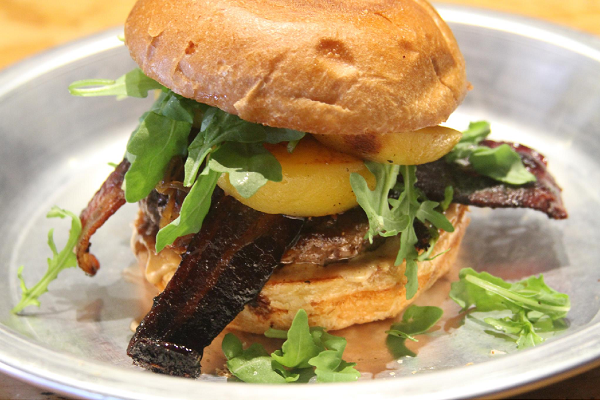 Rodeo Goat is a fairly young burger restaurant but is a frequent content for local burger battles / best of championships (and winner of some) quickly becoming a staple for the meat loving residents of Fort Worth with their critically acclaimed burgers and ever changing menu. 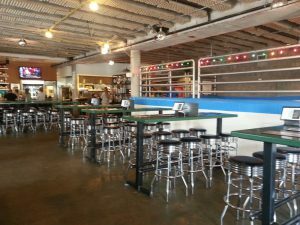 Rodeo Goat’s original Fort Worth location has a strong rating of 4.3 out of 5 stars on Yelp (as of writing November 25th, 2017). This burger joint and icehouse has some very popular dishes that are not burgers such as Cheese fries which can feed up to 4 people, or just you alone depending on how hungry you are. I would recommend my favorite, The Whiskey burger with blackberry compote topping which is big enough that it can be shared between two people. Not only is your dog welcome on the patio, but Rodeo Goat offers a veggie patty to substitute for any of their unique burgers making it a perfect place to bring your vegetarian friends and family. Mariah, a local guide in the Fort Worth area, said “this is the best burger” she’s ever had. 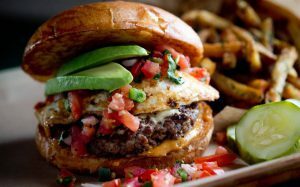 “Rodeo Goat’s Chaca Oaxaca Burger is a Fiesta in Your Mouth” – Eater.com. April 17th, 2015. Retrieved November 25th, 2017. All Photos Copyright Rodeo Goat.